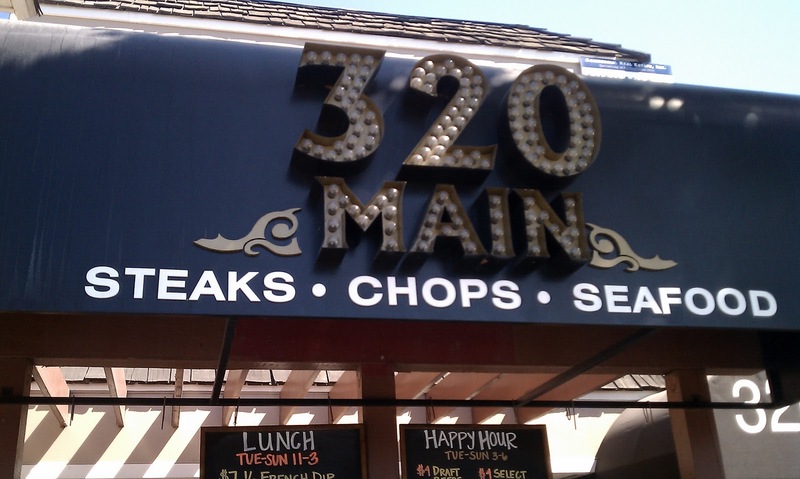 320 Main is as unpretentious as they come, a welcoming comfortable environment on Main Street in sleepy Seal Beach. 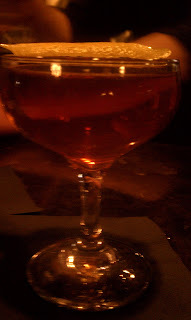 But looks can be deceiving and when it comes to drinks, 320 Main is a supermodel in sweatpants, rocking the casual lived in look but still hot as hell. They know what they are doing when it comes to cocktails, thanks to owner Jason Schiffer, the barman who co-owns the restaurant and bar with his wife Rebecca. 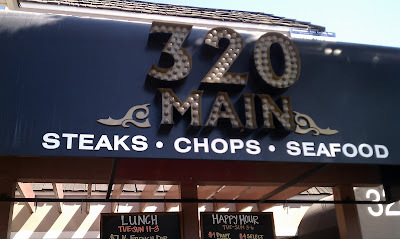 320 Main just celebrated its one year anniversary this month and if recent visits are any indication is just hitting its stride. 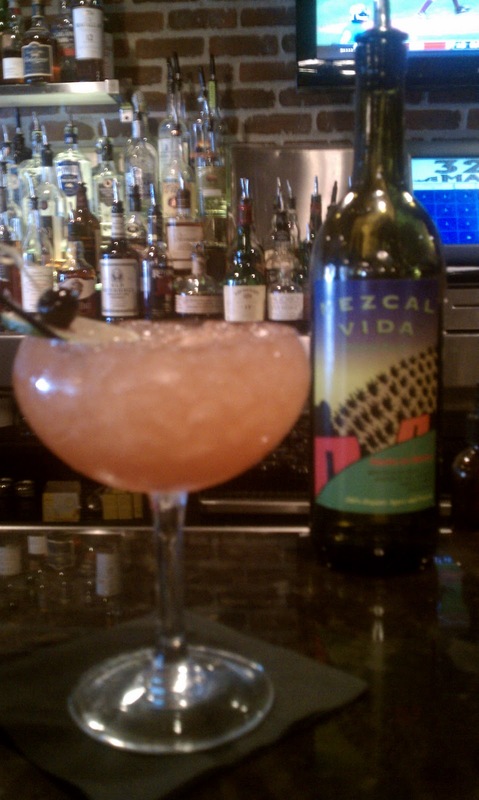 A signature drink is the Sweet Bricia, named for legendary mezcal and Oaxacan food advocate Bricia Lopez. The Sweet Bricia (below) is one of the many mezcal based drinks in Southern California named after Lopez. 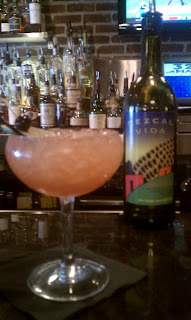 The Sweet Bricia includes both mezcal and tequila for a double dose of Mexican spirits but is light, due to the cassis and freshly squeezed citrus juice which make it refreshing. Not only does 320 Main serve quality drinks but they have a well executed menu of American classics, including the French Dip sandwich (below), which was excellent with the au jus, although the fries were just OK. 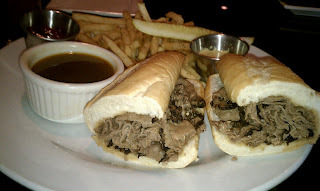 However on a visit this week, several compatriots (including Ron of LushAngeles) and I sampled the macaroni and cheese, the duck fries and could not resist ordering the special of Beef Stroganoff made with short ribs. The duck fries are cooked in duck fat and have little bits of shredded duck on them, and were a vast improvement over the fries I had eaten with the french dip on a prior visit. The Stroganoff was rich and the use of short ribs elevated what could have been a tired dish into a modern reinvention of a classic. 320 Main does a great job with classic cocktails such as the Old Fashioned and Mint Julep but the bartending team seems to enjoy creating their own take on modern cocktails as well.The Brass Chassis was a favorite on a recent visit. Jason and his colleague's enthusiasm is evident and it is great to see them elevate what could have easily been a neighborhood spot into a destination. If you haven't been down there, it is worth the detour, as the environment is comfortable and welcoming, the drinks well made and the food tasty. Thanks for the heads up. 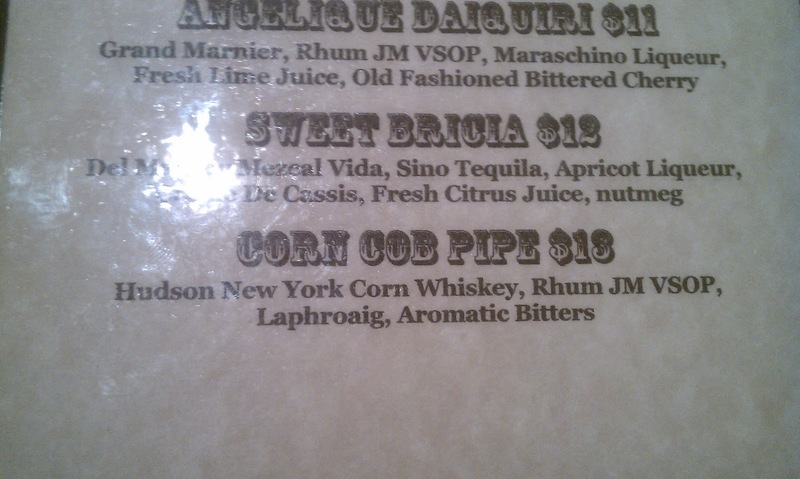 I must have had too much mezcal. I swapped in the correct photo!